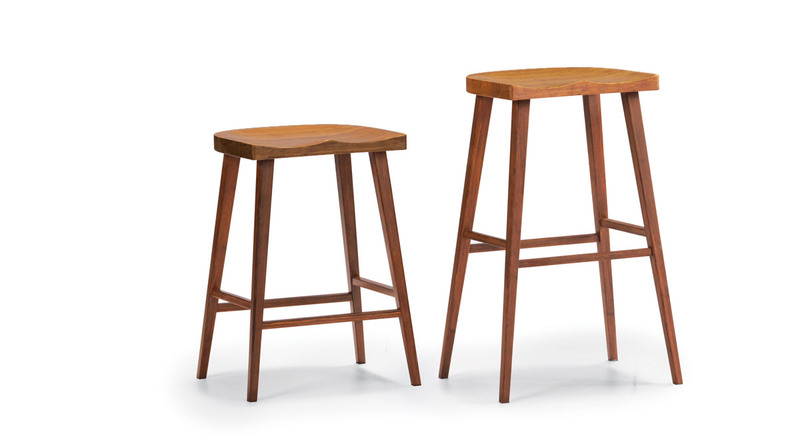 The Salix Stool provides modern, comfortable seating at two convenient height options. The seats are contoured, yet maintain a clean, contemporary look. 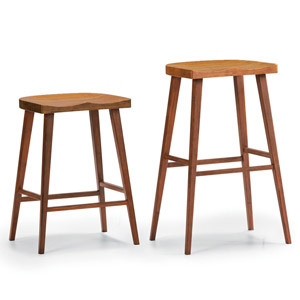 This stool is perfect for any home or business that welcomes a touch of Asian design. Not only does the caramelized bamboo finish look great, the bamboo construction is sturdy and reliable. Pair these up with any of the other Greenington tables to create a modern Asian kitchen design. Because of the packaging used on this product line we cannot use our typical in Home Assembly Carrier. Instead we use a LTL carrier that will deliver this product to your home. The freight company will call you in advance to schedule a delivery appointment at your convenience. Minor assembly is required. Except as provided herein, The Manufacturer shall have no liability or responsibility to the purchaser or any other person or entity with respect to any liability, loss or damage caused directly or indirectly by use of the product, including, but not limited to, any incidental or consequential damages.